This is a bit late – I’ve been busy! We have had to be somewhere every night this week for one reason or another. My life is truly not my own anymore. When it was my own, I didn’t take advantage of it (why didn’t someone tell me?). Anyhoo, I had a nice Mother’s Day, but it only lasted until for about 3 hours and then it was back to real life. We had a soccer game, family Mother’s Day/Birthday cookout and then a basketball game. Somewhere in there I had to make mac & cheese for the family gathering and pick up a cake. It was non-stop crazy, but we got it done. I told Mike that we should celebrate Mother’s Day on the sunday after the real Mother’s Day so they can actually serve and pamper me properly all day long! I deserve at least one whole day (instead of 3 hours), right? Mother’s Day did start out awesome! 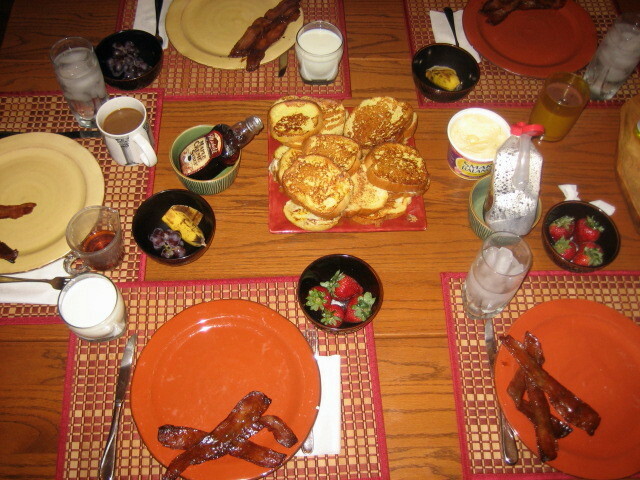 I got a homemade breakfast made by Maddie and Mike – french toast, fancy bacon, strawberries and coffee. This is my favorite breakfast. I also received very thoughtful gifts – my family is really good at this. Among the CSA cookbook, Sketchers Shape-ups and hand-crafted coffee cups, my favorite gift was my handmade T-shirt ala Modern Family (if you don’t watch this show, you are missing the funniest show on TV!). Did I wear it? You bet! However, the best gift I receive each year are the latest entries in my Mother’s Day Journal. In 2004, Mike started this wonderful tradition of having the kids write something in this journal each year. 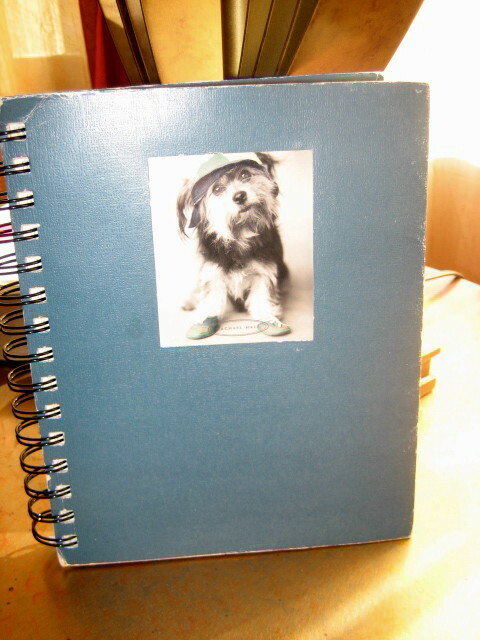 It’s a snapshot of my kids over the years – I love this journal. And, the #1 reason I love my mommy: You’re awesome! Isn’t that sweet? I do want to interject that regarding item #7, please interpret this as that I suffer through yet another episode of SpongeBob Squarepants or iCarly! I have to say that #6 cracks me up too! Definition according to Webster: [muTH’ er] n. A female parent. Definition according to Kids: [Mommy] n. A person that teaches you how to manage time; always brings you things you forgot; loves you forever; NOT your best friend! I would include one of Rachel’s entries, but she expressed herself with drawings and not poems or lists. She expressed herself in a very artsy, cool way. 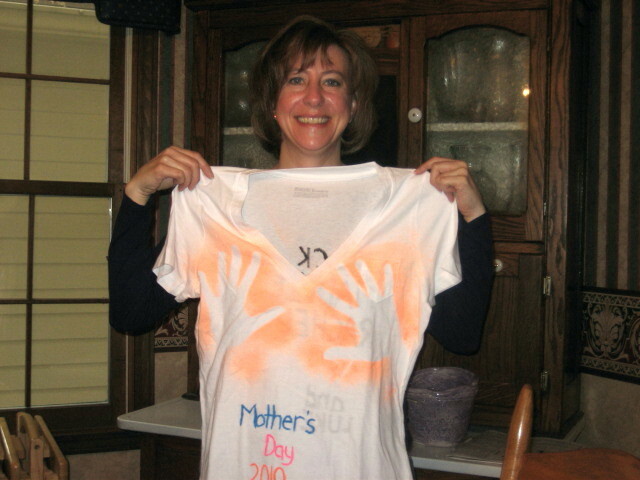 This entry was posted in Parenthood and tagged journal, kids, Mother's Day, mothering, parenting, presents. Bookmark the permalink. I am glad that you had a great day! Special Bacon – baked in the oven basted with a mixture of honey mustard and brown sugar. It was Maddie’s idea and it was delicious!